Basketball, like life, often is about plans, priorities and purpose. And so it was in the United Center Friday, the Detroit Pistons, hanging onto one of the bottom spots in the Eastern Conference trying to get back to the playoffs for just the second time in 10 years, and the Bulls trying to find out how many and who are the players they have who might get them there. So Pistons coach Dwane Casey, faced with a 21-point first half deficit that still was 11 to start the fourth quarter, varied from routine and started the fourth quarter with his two best players, Blake Griffin and Andre Drummond, the latter playing the entire second half. 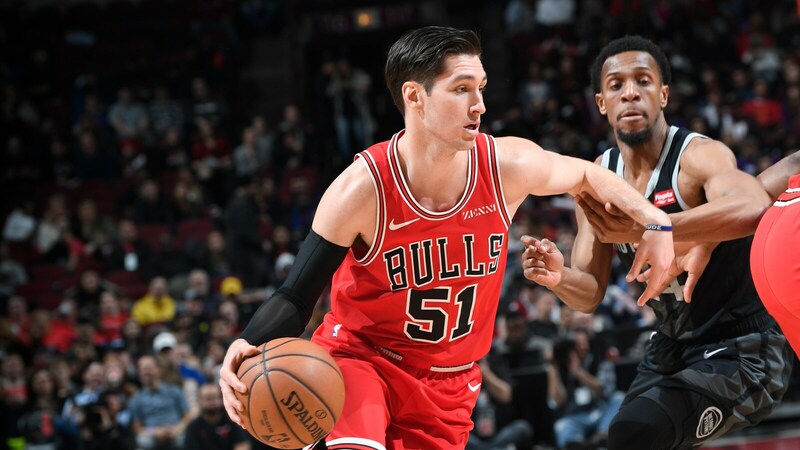 Bulls coach Jim Boylen, staying with his organization’s desire for development and detection, maintained his regular rotation. So Cristiano Felicio was defending two-time All-Star and annual 20-20 leader Drummond. Wayne Selden Jr. was sort of guarding six-time All-Star and dunk champion Blake Griffin. This was not something young children should be seeing. Nor frankly interested adults, either, as the Pistons tied the game in about three minutes and turned a double-digit deficit into a double-digit Detroit lead about four minutes after that on the way to a 112-104 Pistons victory. 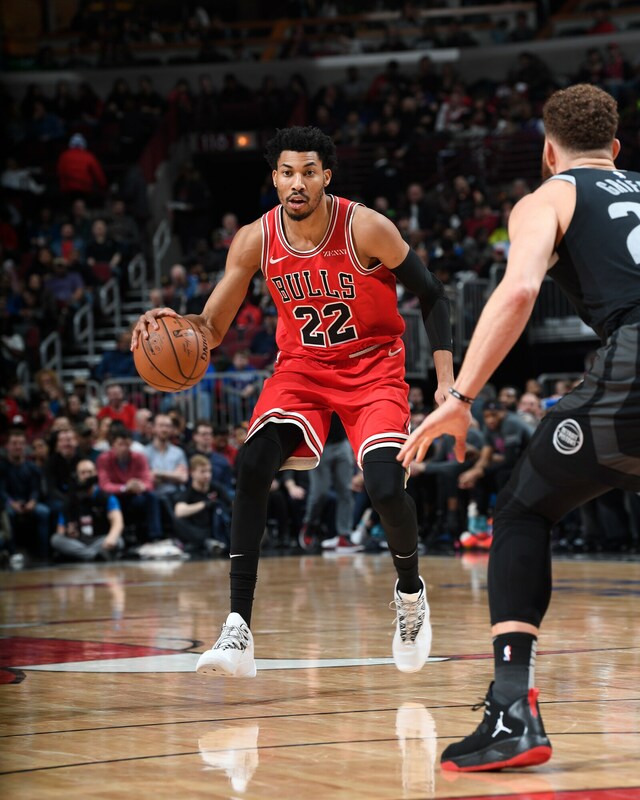 "We played about as well in the first half as you can play," said Bulls coach Jim Boylen of an Otto Porter Jr.-led race to a 66-49 Bulls halftime margin. "Came out in the third quarter, I thought our energy was poor. They started stripping us. Obviously, the third quarter did us in; didn’t like our energy and spirit in the third quarter when they made their run." Though the Pistons, 33-31, weren’t really great until that fourth quarter. They quickly cut the Bulls lead to 13 after halftime. But the Bulls recovered enough behind Zach LaVine to retain a double digit lead at 80-69 entering the fourth quarter. No, it wasn’t about draft position and losing intentionally since the Bulls, 19-48, are pretty much established in the No. 4 draft position with the odds for the top pick at fourth poorest almost identical to that of the teams with the three poorest records. The Bulls know who they have in LaVine, who led with 24 points, Porter, who added 23 and a team-high eight assists with a dozen points in a dominating second quarter run, and Lauri Markkanen with 18 points. Robin Lopez was a bit quieter against Drummond, but had 13 points. Kris Dunn had seven points and seven rebounds. But the Bulls bench, particularly over the last two months, has been a focus of weakness. The reserves have been outscored in 21 of the last 23 games and 38-19 Friday led by Ryan Arcidiacono with nine points. The organization has some decisions to make. So Boylen again gave them a chance. "It’s a fine line between trusting your bench and overplaying your guys," pointed out Boylen about the the Bulls Sunday playing one of their earliest games in years, a noon Eastern start on the first day of Daylight Savings time. Of course, so are the Pistons since the Bulls are playing them in a second consecutive weekend home and home. Fewer overtimes for now. "We are trying to manage that the best we can; it’s a quick turnaround to Sunday. Those things are on my heart and on my mind," said Boylen. "The bench has played well for us some games, played together well. I thought I did a good job staggering Otto (with the reserves) in the first half; I’ll look at that, too. "I’m trying to see if they can play, what they can do, if they can pull it together," Boylen explained. "I thought in the Boston game they played great (outscored just 30-28 against an elite reserve unit). Got us the lead and kind of took control of the game. I want to trust them, develop them. But they are learning and growing and trying and willing. "They (Detroit) played better than us in that stretch," said Boylen. "We played very well in the first half and we played very poor in the second half as a group, and that’s on me, too." Griffin had 27 points, 16 in the fourth quarter after he left briefly with an injury in the third, and Drummond had 20 points and 24 rebounds, 18 rebounds in the second half when Bulls players were bouncing off him like bumper cars. Griffin was blowing by the younger Markkanen on drives and even second chance points, beating Markkanan on one occasion to his own miss for a layup. "He got me a couple of times," Markkanen acknowledged. "There were a couple of miscommunications. They brought the physicality, for sure. They stripped us a lot; we can do a better job finishing at the rim and making plays." Markkanen off the court followed LaVine’s model of earlier in the week with a buzz hair cut that he said had his son not sure of who he was. We’ve wondered some recently, as well. Not that Markkanen has played that poorly. He had an early three Friday scooping up a loose ball as the shot clock was about to go off and making a tough shot when the Bulls started the game with an 18-12 lead. The Bulls were ahead 30-24 after the first quarter as Markkanen would add a left handed slam dunk on a drive. Markkanen is averaging 14.3 points and nine rebounds and three of 16 on threes the last three games. Not horrible, but nowhere near his dominant February when he averaged 26 points and 12.2 rebounds and had at least 20 points and nine rebounds in every game and double/doubles in all but two. "Obviously, my February has been better than March so far," Markkanen agreed. "So hopefully I can turn it around. It’s all about our team. Obviously, other teams do scouting and different coverages, but we have to do better at that." The core three of LaVine, Markkanen and Porter, overall, continue to do well. They again exceeded 60 points combined, and this time the star was Porter shooting nine of 13 with the lead in assists. His second quarter run was dominant and displayed a bit of everything with several full court excursions after rebounds, pull up jumpers so sure you couldn’t believe when he missed, a game so smooth and urbane you might find him soon in one of those world’s most interesting man commercials. "Otto settles us down," says Boylen. "Gets us in a pick and roll, has a knack for doing that, gets someone a layup, a real smart, gifted, poised guy." The Bulls came in 7-5 since the acquisition of Porter and 7-3 in games he’s played. It was looking like another win when the Bulls went ahead 66-45 with less than a minute left in the first half. 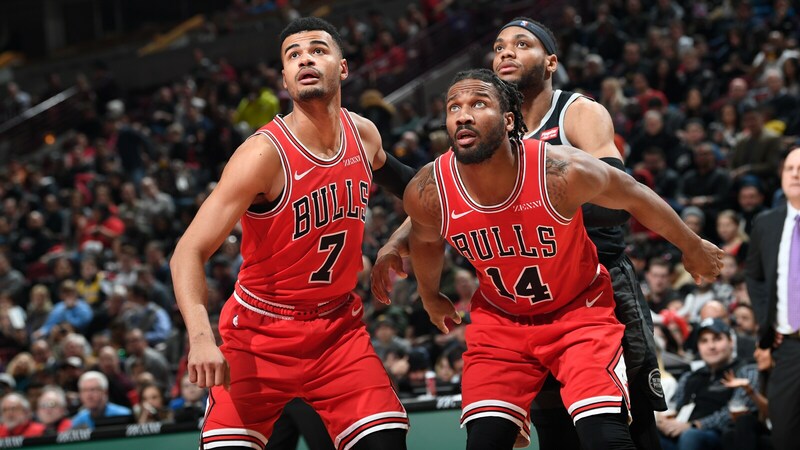 But then the Bulls, of all teams, seem to become satisfied, or at least unprepared for the rage and desperation of a playoff hopeful like the Pistons. Detroit defended better. Not their 80’s style, but forceful since they’d be arrested now playing that way. The Bulls complied by slowing down for more isolation play and forgetting about Porter in the third quarter. He got one third quarter shot and made it. "We have to do a better job of getting (Porter) into the game," said LaVine. "We got complacent. When someone is hot you have to find him. We have to do a better job with that. They came out after halftime and bullied us; we didn’t respond very well. It’s upsetting we didn’t finish that game because the way we were playing the first half that was a very winnable game. "Otto settles us down. Gets us in a pick and roll, has a knack for doing that, gets someone a layup, a real smart, gifted, poised guy." - Coach Boylen on Otto Porter Jr.
"Seemed like we got complacent where we were," LaVine acknowledged. "We’ve done that before. I thought we were past that. I guess we have to go back, look at ourselves in the mirror and say 'What can I do better?’ All of us. I could have made more free throws (five of 10 and 19 of his last 30). "Blake just turned into the All-Star he is and we couldn’t stop him," said LaVine. "We were doing our job in the beginning; we shouldn’t have lost that game."